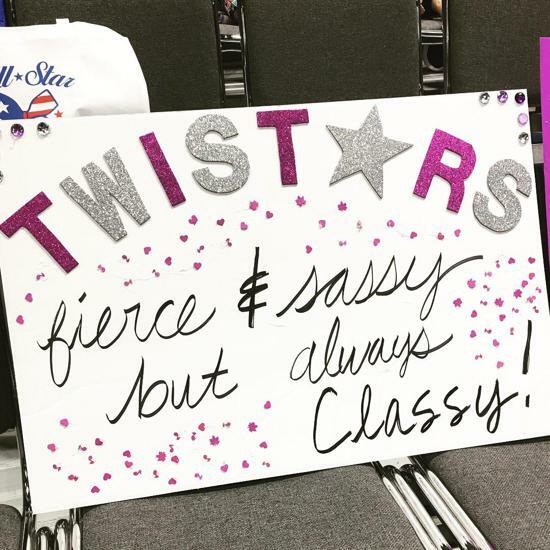 2019 Summer Class Schedules Posting SOON! We're finishing up our class schedules and calendars, check back in a little bit for the complete Summer 2019 Listings! KGDC is excited to offer your children eight great weeks of healthy, challenging fun this summer! Our preschool and grade school instructional gymnastics summer camp is a wonderful way to introduce your child to the basics of gymnastics. 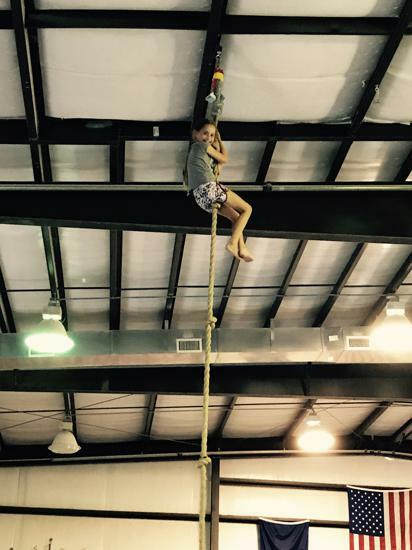 If your child has had previous gymnastics experience, this is an awesome way to continue building on previously learned skills. Your child's camp time will be spent in a positive, safe, fun and supportive environment where every child is a success! Children will be divided according to age and level of gymnastics experience to allow an increase in physical skills and build a positive self-image. KGDC is the best place to be this summer! Members and non-members welcome! A minimum of five registered campers in both the preschool and grade school groups is required in order to run each week of camp. You will be notified after the sign up deadline has passed of any camp week cancellation. Ages 3 (must be potty trained) to 11 years old. Hours: 9:00 AM-12:00 PM Monday-Thursday. If you are currently enrolled or have been enrolled in the past, please login to your account via the parent portal. If you have never been enrolled at KGDC you will need to create an account first. Once you have entered the parent portal, click on the Find Summer Camp tab to the left of the screen, then select which summer camp or camps you want to enroll in. Click Here For the KGDC Parent Portal! Birthday Parties? Special Events? Extra Training? Whatever your motivation, we can accommodate! 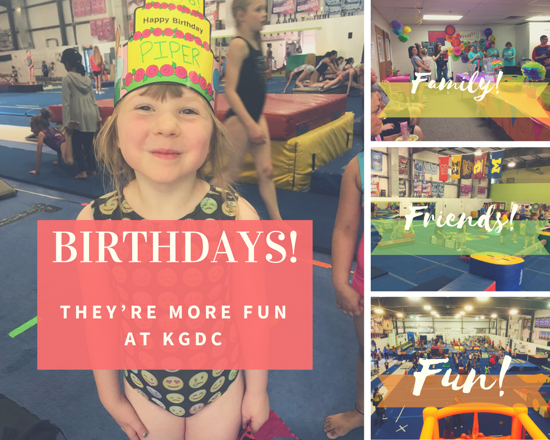 KGDC offers facility rental packages tailored for your needs. 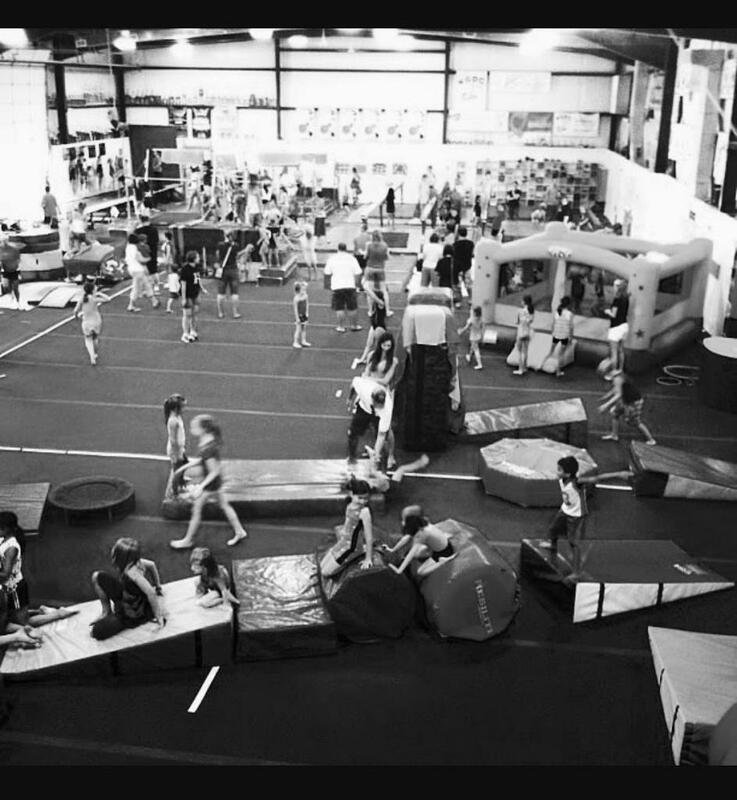 Make use of our 72' x 48' Spring Floor, Foam Pit with Pit Bar, 40' Trampoline, Event Room, Elevated Youth Facility which include 10 ' Trampoline & Mini Pit. Schedule Your Time With Us! 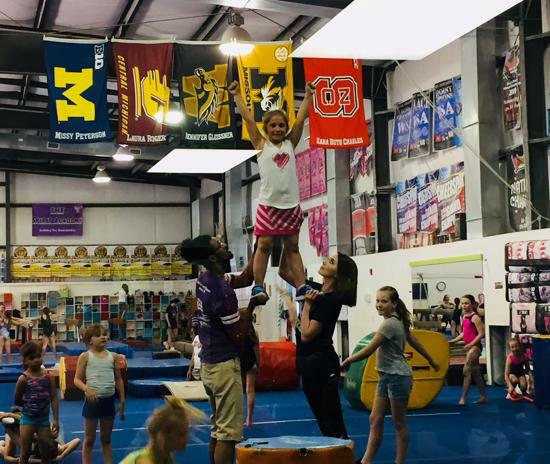 Introducing KGDC Tumbling & Acrobatics! 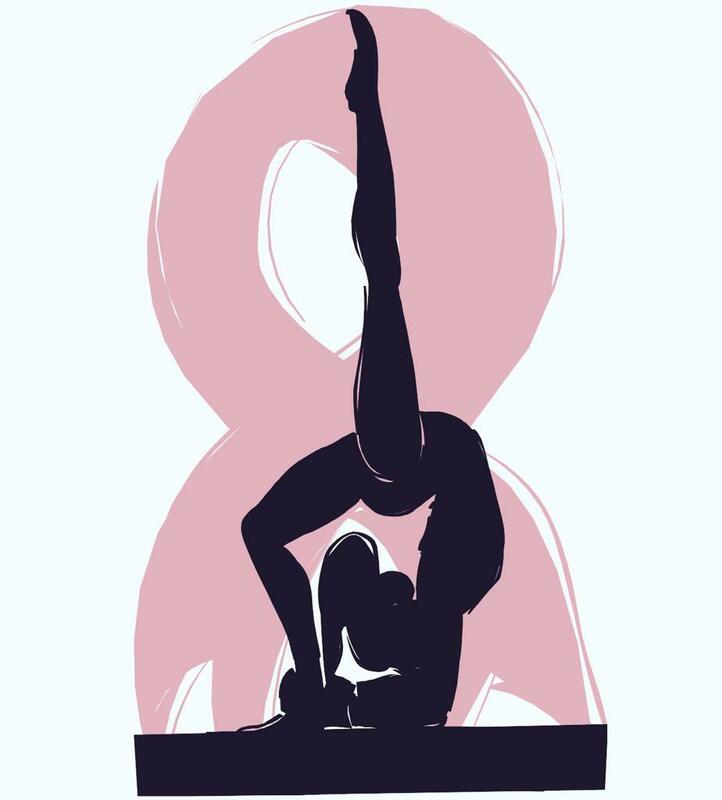 KGDC Will Be Offering the Amazing Opportunity to Become Active in Tumbling and Acrobatics! 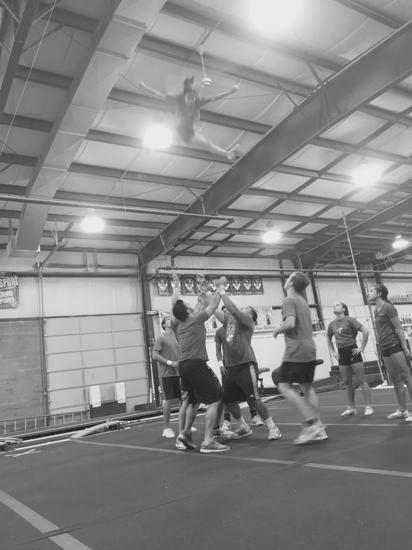 Tumble & Acro is an amazing Gymnastics discipline which combines strength, agility and balance to produce astonishing athletes. Tumble and Acro is considered one of the inspirations for the world-wide phenomenon which is Cirque du Soleil! Sign Up for KGDC today! 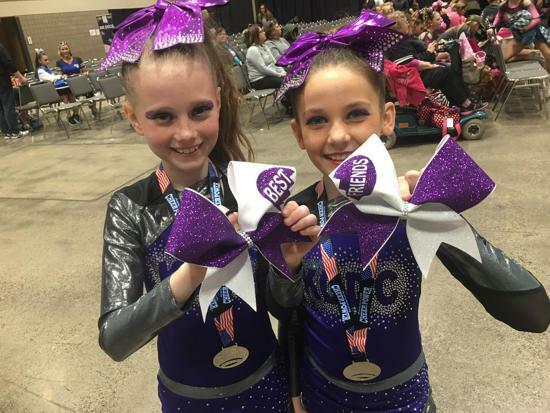 Kansas Gymnastics and Cheer (KGDC) prides itself on providing the highest quality preschool, recreational, competitive gymnastics and cheerleading programs for children of all ages and abilities for over 25 years.